French indie developer COWCAT has announced that the frenetic arcade style twin-stick shooter Riddled Corpses EX is coming to Nintendo Switch on March 2, 2019. Pre-orders are available now on the Nintendo eShop for $9.99 / €9.99. 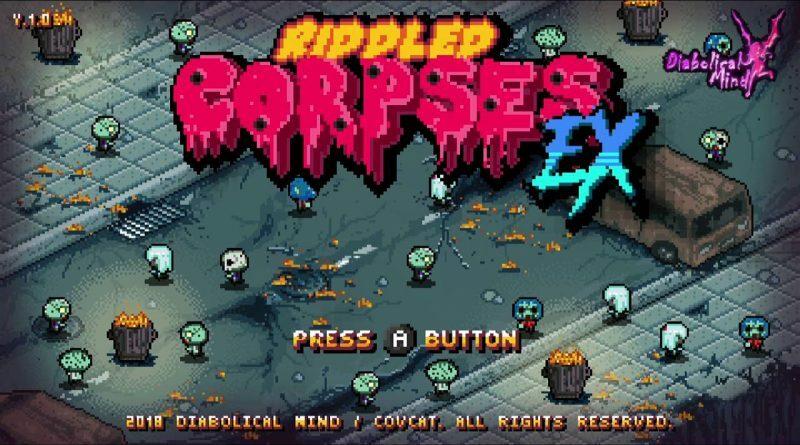 Riddled Corpses EX is a twin-stick shooter made in the style of 8/16 bit arcade games. Travel through diverse locations packed with danger and huge bosses. Choose your character wisely and make good use of their abilities and the special items (clock, dynamite and turrets) to progress and destroy the root of evil.